At Golf Breaks in Spain, we are always looking to help you save money on your next golfing break. We are golfers ourselves and with over 10 years of providing golfing holidays, we understand exactly what golfers are looking for. 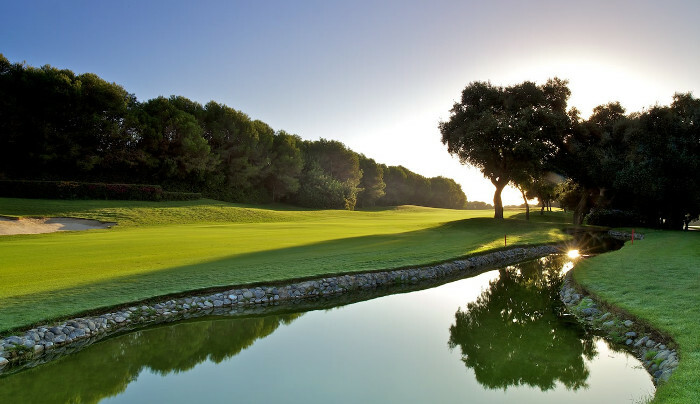 Our golf packages are not only affordable, but also offer you a high level of customer service right the way through from finding your break online to teeing off here in the Spanish sun. By booking your golf holiday with us, you can always be sure that you are getting not only a great value golf break, but also receiving a service that is second to none from our friendly and professional team. But let’s face it, holiday costs can mount up quickly leaving your initial holiday budget a distant memory. The good news though is that there are many ways in which you can drive down the cost of your golfing break. Below you will find our top 10 tips for saving lots of cash on your next golf break. We all have different requirements when it comes to board basis. Some people like the flexibility of self catering, others prefer half board or bed and breakfast. But if you really want to save, why not plump for one of our all inclusive offers? If you’re a big eater and like a tipple, then the all inclusive option can save you a fortune on food and alcoholic beverages. In fact, it’s not unusual to save literally hundreds of £’s just by going all inclusive. While here, you will need transfers to and from the airport and you will also need to find your way to the golf courses. Instead of hiring multiple cars or getting taxi’s, why not book your golf and airport transfers with us? The more of you there are, the more you will save over the course of your golf holiday. Another great way of saving money is to leave your golf clubs at home and hire some from us here at Golf Breaks In Spain. Whenever you take your golf clubs abroad, there’s not only the excessive baggage costs to pay that are charged by the airline companies, there’s also the risk of theft or damage while in transit! With prices starting from as little as €15.00 per FULL set per day, you could potentially save yourself another chunk of cash by hiring your clubs with us. All of our clubs are of the highest quality and can be delivered directly to you at either your hotel or the airport. Saving you time, effort and money! That’s a win-win for sure! At Golf Breaks in Spain we can offer you favourable rates on all of your green fees due to the relationships with have developed over the years with our partners. A further opportunity in which to save even more cash is to book your tee times at less popular times of the day. Booking your tee times later in the afternoon or at early morning twilight can all add up to further savings. It’s also cooler at those times, which is another bonus. It’s no secret that hotels here in Spain are always keen to fill their rooms as early as possible and as a result can be flexible on prices and offer some excellent discounts helping you to save more money. Many of the hotels that we deal with offer discounts when booking for eight people or more. Some also offer one in every eight guests free! Book your golf break nice and early and bring some friends along and you can save hundreds of £’s as a result. Although it doesn’t sound much like a cost saver, it is. Purchasing a course planner or golf GPS device can not only help with your course management and give you greater confidence when addressing the ball, it can also help reduce the number of golf balls that you lose as you will know the precise distance to each hazard. Potential savings: A dozen golf balls? When you come to Spain to play golf you will be doing exactly that. Enjoying the year round sunshine and discovering everything the Costa’s have to offer. So why go for a 5 star accommodation if you will be spending the majority of your time on the course or enjoying a sangria or two in the bars? By selecting a 3 star hotel rather than a 4 or 5 star, you can save even more money! If you selected bed and breakfast or a self catering golf package, then this option could be for you. When walking around town, be sure to look out for any signs that read ‘Menu del dia’. Translated it simply means menu of the day and is how many of the locals eat here in Spain. A menu del dia will normally comprise of three courses and a drink with prices starting from a very reasonable 5.95 euros per person. Outstanding value for a three course meal and a great cost saving tip for anyone holidaying here in Spain. While here, you will need some spending money. Fact is, bank exchanges rates and charges to use your card abroad can add even more money to the cost of your holiday. The good news is that by using a currency transfer company such as transferwise.com, you can save a small fortune on bank charges. Although it’s impossible to say exactly how much you could save, there’s no doubt that by adopting just a couple of the cost saving tips above, you will save a tidy sum and get your golf holiday off to the perfect start.